Last weekend, my parents and I happened upon the wreath and craft sale at the Lopez Union Cemetery next to Center Church. 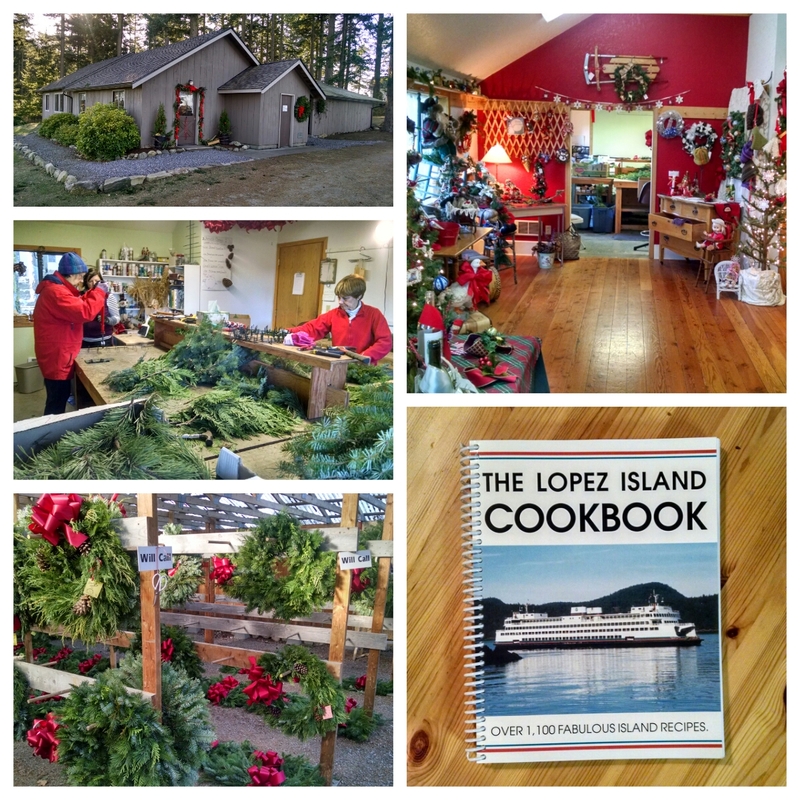 My mother insisted on buying my family a wreath, along with a few other items at the craft sale, including the Lopez Island Cookbook. While we were paying for our purchases, my mom – kind of out of nowhere – mentioned that I do some volunteering around the island and would be happy to help cut the green boughs used to make the wreaths. I had no option but to cough up my 4 digits, assuming that I’d be put on a list of potential green cutters for next year. I clearly have much to learn. The very next day, just as my wife and I returned from walking the kids to the bus stop, the phone rang. It was Ed Sturdivant, the lead green cutter, calling to see when I was available to cut this week. To be honest, with temperatures in the high 20s and low 30s, and with a fair amount of other work to do, I wasn’t exactly excited about joining the cutting team. But I knew I should, so I arranged to meet Ed and others Tuesday afternoon. After an afternoon of cutting greens with Ed and visiting with the volunteers who make these wreaths year after year, I’m absolutely happy I did. I now have a dozen new friends, and I learned a lot more about Lopez in the process. For instance, the annual wreath sale provides 75% of the budget needed to maintain the church and cemetery – the island’s only cemetery, which along with the church, is community owned and maintained. Center Church is used by the Catholics and Lutherans, whose services are on Saturdays and Sundays, respectively. Weddings, community donations and grave sales only go so far to pay for upkeep of the immaculate grounds and historic building, though. Proceeds from the sale of more than 350 holiday wreaths every year make up the rest. All of this is organized by a pretty amazing group up volunteers, including Ed and his wife Kay, who moved here from Arkansas years ago; Judy Matalon, the president of the Lopez Union Cemetery Association Board of Directors; and dozens more. Each of them shared some great Lopez stories Tuesday afternoon. 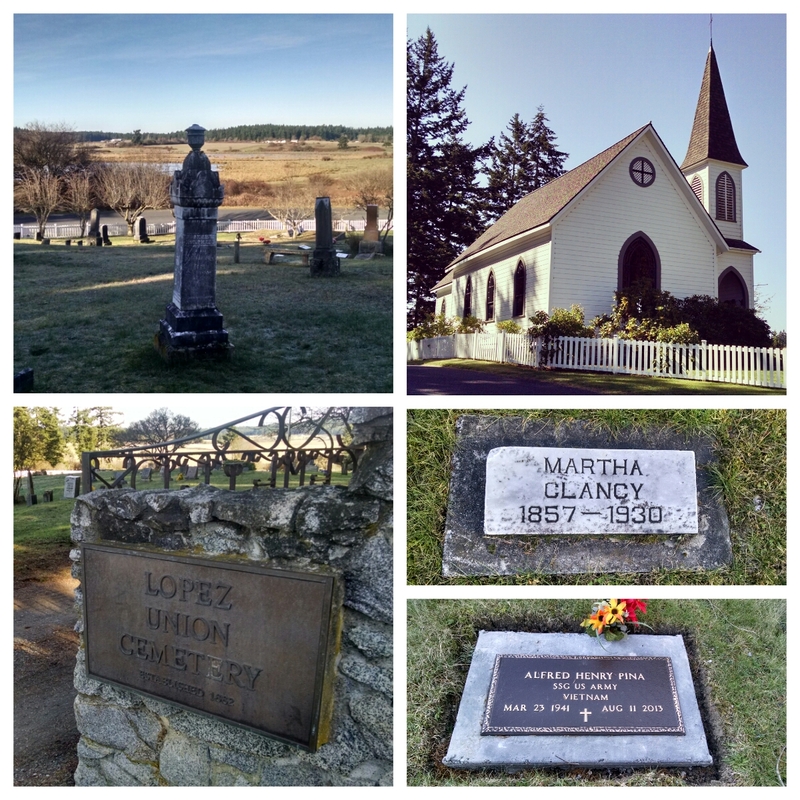 One of the volunteers, Lois, told me that, “while walking around the grounds, you get a feel for the different events that changed the direction of the island” – everything from the influenza outbreak of 1916 to the wars of the 20thcentury. And I loved listening to Ed – with his Arkansas accent – teach me the ideal size of wreath boughs, interspersed with anecdotes from green cutting over the years. His stories of cutting in freezing temperatures as rain dripped down his back made me feel a little guilty about my initial reluctance to help out. It takes a big community to get those wreaths made every year. 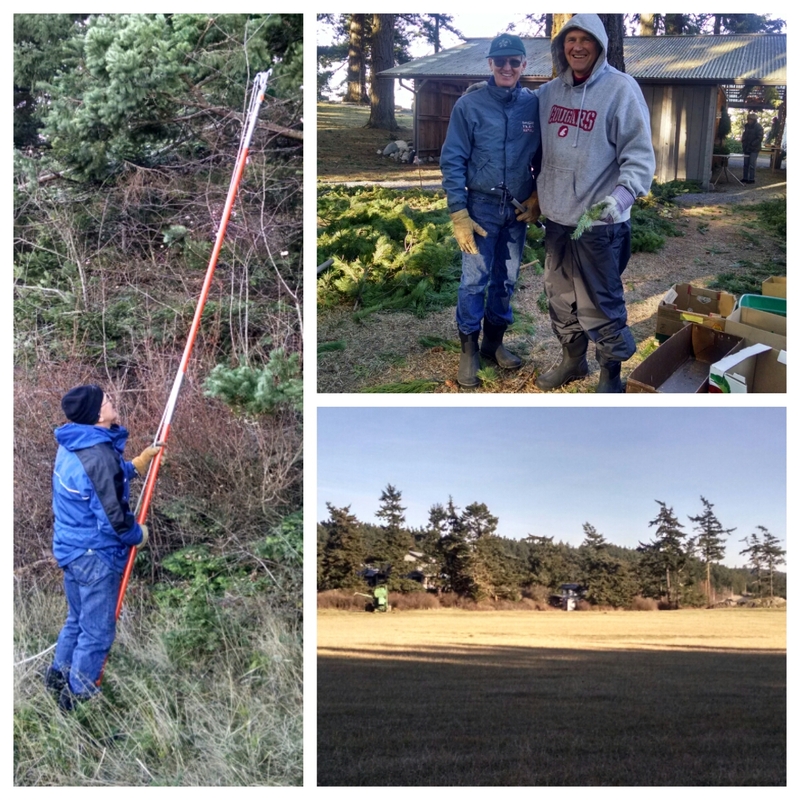 In addition to a team of cutters, Ed has built a large network of Lopez property owners, who let the association trim their pine and fir trees. Over a period of more than a month, truckloads of branches are delivered to the Cemetery workshop, where a team of wreath builders make the most elegant wreaths you’ve ever seen. Starting the day after Thanksgiving, the wreaths and other Christmas decorations go on sale. So, if you’re on Lopez over the holidays, you must stop in – to of course buy a wreath, but also to learn some Lopez lore. Oh, and if you want to join me green gathering next year, call Ed. Or, have my mom volunteer you. It was a delightful find!! The wreaths were beautiful,the volunteers enjoyable to talk to with their historical experience and knowledge. I am wondering how I can order a wreath and receive even though it would have to be mailed to a different state. Tim can you research that?